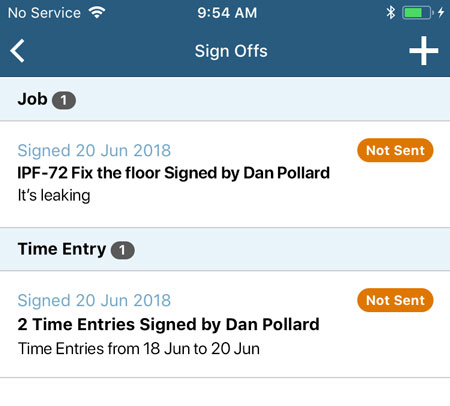 Mobile sign off is the easiest way to get work checked and approved by anyone on the job site. It's great if you need to get jobs signed off as part of your company's workflow, or you just want confirmation that your customer has accepted your work! 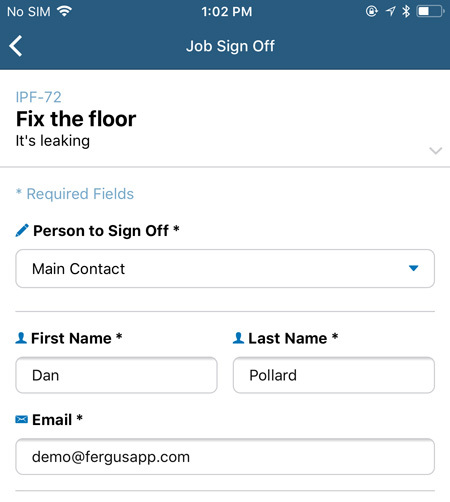 To get started, you'll need to make sure you're using the latest version of the Fergus Mobile App. Step 1 - Open the job card and tap Sign Off. 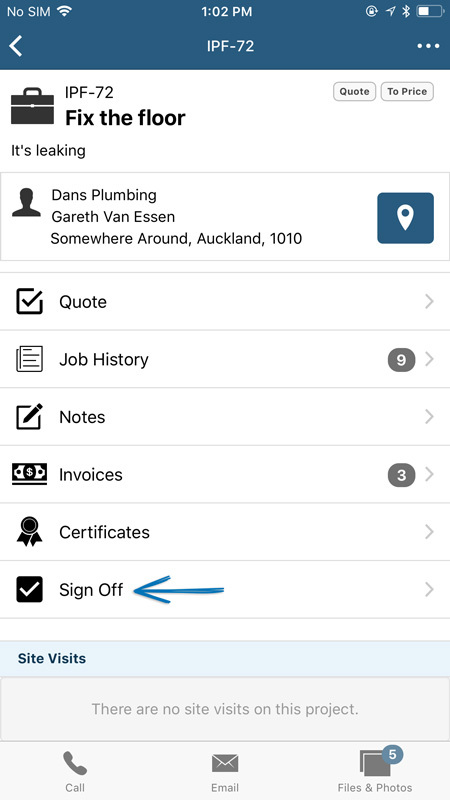 Step 2 - Tap the + icon to open the Create New Sign Off menu. Select Job Sign Off to open the Job Sign Off Form. Step 3 - Add the name of the staff member who is approving the work. If the client is approving the work, select their details from the dropdown menu under Person to Sign Off. Step 5 - Tap Preview to review the Sign Off Form. When you're finished reviewing the form, tap Done. Step 6 - If there's no more changes to be made, tap Proceed To Sign Off. Step 7 - Scroll down to the signature field. You, or the person signing off the job, can then add their signature using their finger or a stylus. Tap Sign Off to approve the Job Sign Off Form. Signing off Site Visits and Time Entries is similar to signing off a Job. Let's go through signing off a Time Entry. 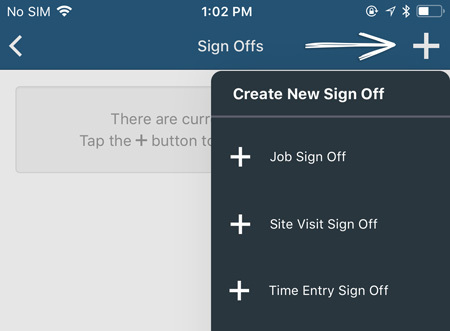 Step 9 - In the Create New Sign Off menu (see Step 2 above to locate the menu), select Time Entry Sign Off. 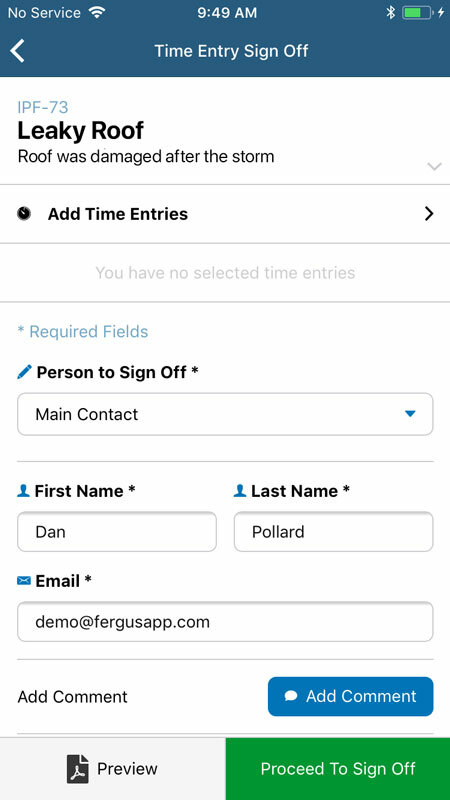 Then, tap Add Time Entries. 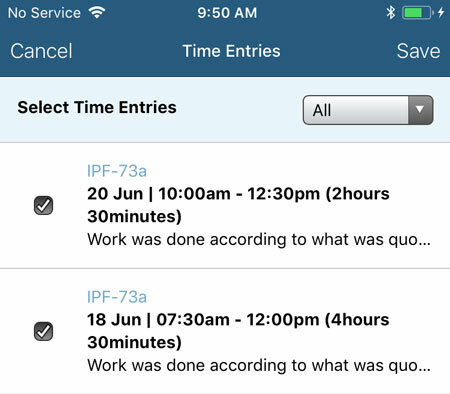 Step 10 - Select the Time Entries you want to add. Step 11 - Follow Steps 4-9 to finish Time Entry sign off. 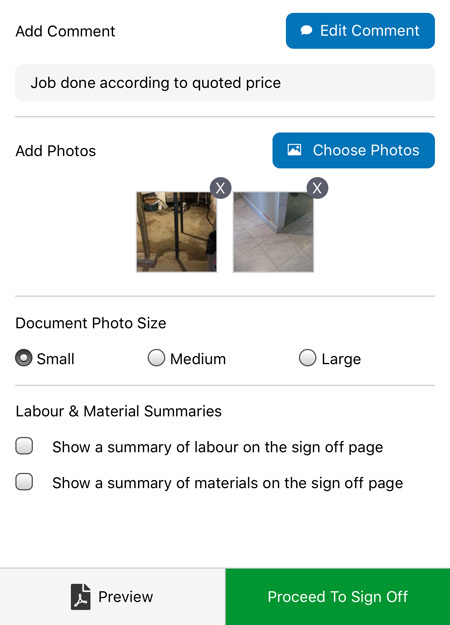 Step 12 - To see a summary of every Sign Off Form created in the job, tap < in the top left-hand side of your screen. To keep everyone informed about what has been signed off, we have created a Sign Off section in the Job Card. 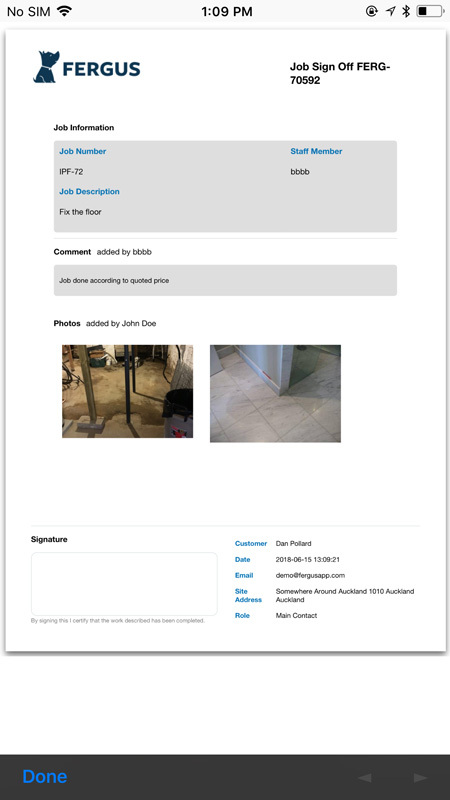 Here, you can view every Sign Off form that has been created in the job. 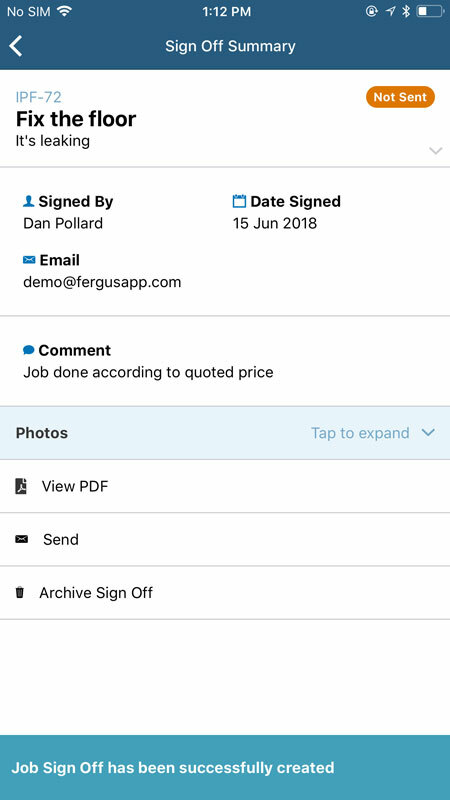 You can only create sign off forms on the mobile app.